HD Review 2019: Is HD a Good Hosting? HD is all about providing customers (especially those in New Zealand) with truly scalable, high-performance hosting. 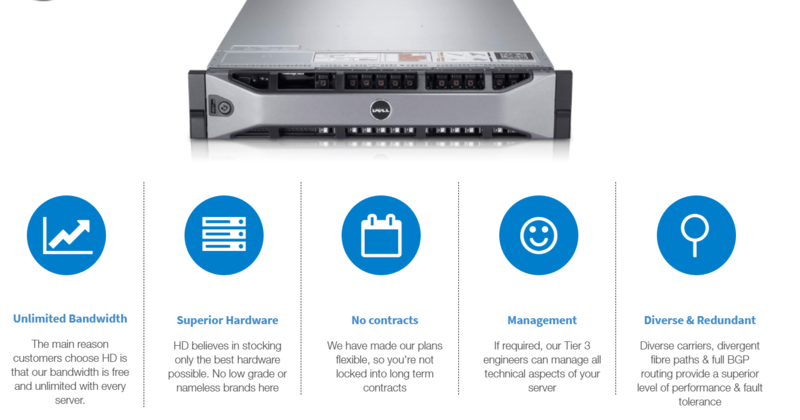 You can configure your servers so that the hosting solution meets your needs. Based in Auckland, New Zealand, HD is proud of its origins and makes this the cornerstone of its identity. It has a privately owned data center in Auckland, and it provides support entirely from New Zealand. Acting as a hosting server provider, an ISP, and an IT services provider, HD offers services and products right across the information technology spectrum. HD’s top feature is the extent to which you can customize and configure your hosting solution’s hardware and software. From a hardware perspective, you can set up a server with up to two 1 TB SSDs, 12 CPU cores, and 192 GB RAM. In terms of software, you can choose from a range of control panels and cloud hosting applications. HD boasts an impressive network that allows you to specify local and international bandwidth speeds of up to 100 Mbps over the 10 Gbps network. HD is also committed to helping you achieve real-time scalability, with no traffic or bandwidth limits, so that you can push for as much traffic as possible. Since HD only offers cloud and dedicated server hosting, you shouldn’t expect any entry-level hosting prices. In fact, HD is quite expensive by international hosting standards, but not significantly more costly than other New Zealand hosts. One good point about the pricing is that you can configure your solution pretty much exactly to your needs, so you only pay for what you get. Both the cloud and dedicated server packages are so configurable that they even allow you to upgrade your port speeds (at extra cost) as well as buy into a range of managed hosting services. Unfortunately, there are no money-back guarantees, but you can buy “downtime insurance” as an add-on. I was disappointed to discover that you don’t get backups or a control panel for free. HD’s incredibly scalable infrastructure and the promise of completely unlimited data transfer makes it the ideal option for New Zealand customers looking for scalable hosting solutions. That being said, it doesn’t come cheap, and you’ll need to add on services for a next-level hosting experience. Get scalable server solutions at HD. Wondering how HD stacks up against other Web Hosting companies? Enter any other Web Hosting company and we will give you a side-by-side comparison.